Grey's Anatomy has been featured during this challenge earlier for "How to Save a Life". This time I am going back to season seven for the episode dubbed "Grey's Anatomy: The Music Event". The real title of the episode is "Song Beneath the Song". It was a musical episode that focuses primarily on Calliope "Callie" Torres (Sara Ramirez) as she fights for her life and that of her unborn child following a car accident. Of course, not all dialogue in the "Song Beneath the Song" was sung. It was more like vocally amped up, where song was used to highlight the emotion of each scene. There was still regular dialogue that even went on during vocal performances. The primary vocals came from Callie as it is hers and her baby's lives in limbo. We see Callie having an out of body experience watching her friends and loved ones fight to save her life. For me, this was one of Grey's more emotional and entertaining episodes of its entire run. I was surprised of the vocal talents of Sara Ramirez (Dr. Callie Torres), Chandra Wilson (Dr. Miranda Bailey), Chyler Leigh (Dr. Lexie Grey), and Kevin McKidd (Dr. Owen Hunt) in particular. 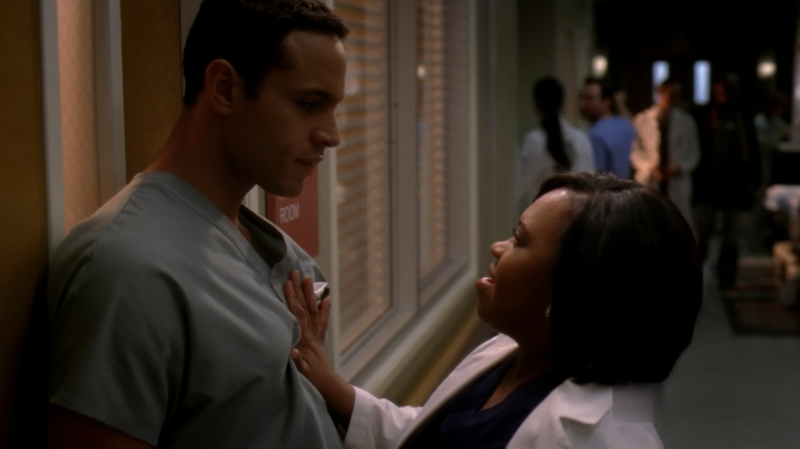 Nurse Eli and Dr. Miranda Bailey singing "Runnin' On Sunshine"
I am listing the songs and the characters who sung the songs. I am not going to list each actor's name for this section. You can go to imdb.com to look up the show and see the cast list. Where to Watch "Song Beneath the Song"